Inconnu -Bureau des affaires historiques cubaines. It presents stains and signs of wear. 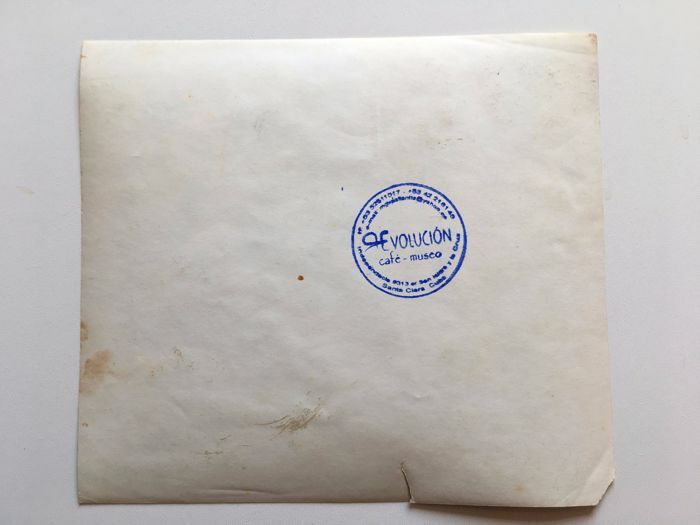 Stamp of the Revolución Museum in Santa Clara in Cuba. 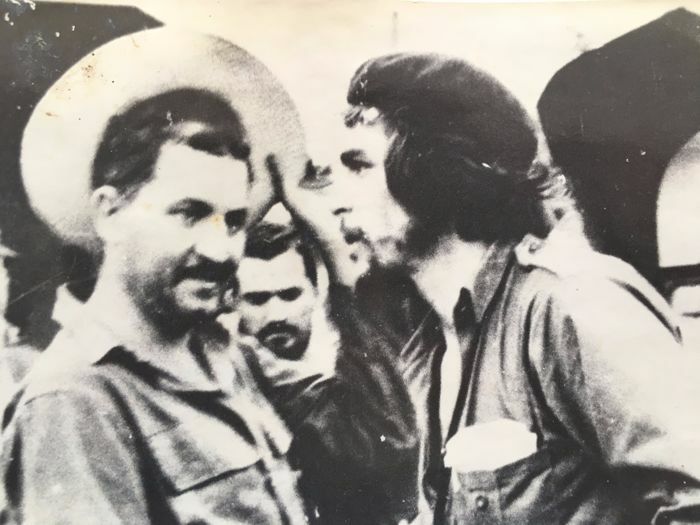 Ernesto Rafael Guevara ( born on June 14th 1928 in Rosario, Argentine – deceased on October 9th 1967 in La Higuera, Bolivia), better known as « Che Guevara » or « el Che » , was a international Marxist revolutionary from Argentina, as well as a politician in Latin America. 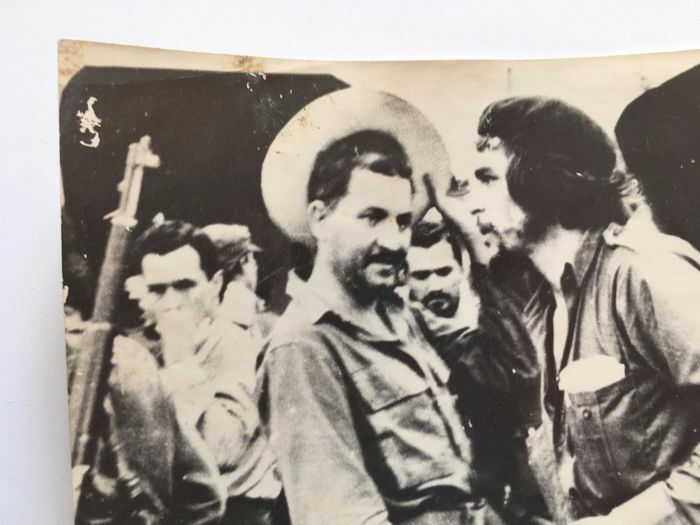 He was one of the leaders of the Cuban Revolution. He theorized it and tried to export it towards other countries. 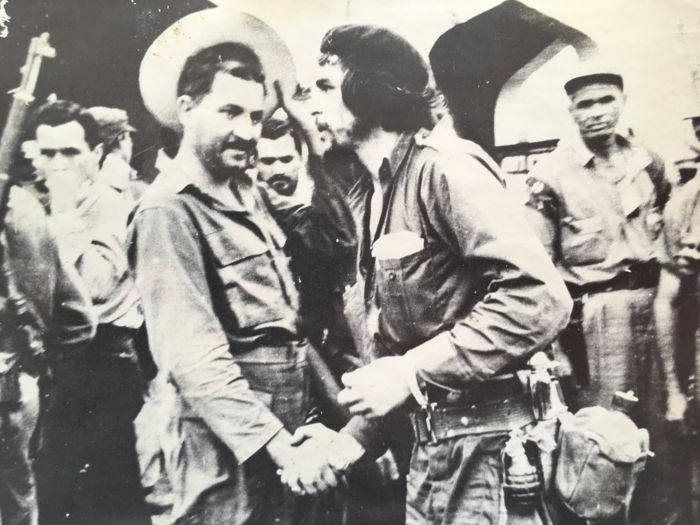 Here on this picture Che is magnanimous with the vanquished of the assault in Santa Clara. 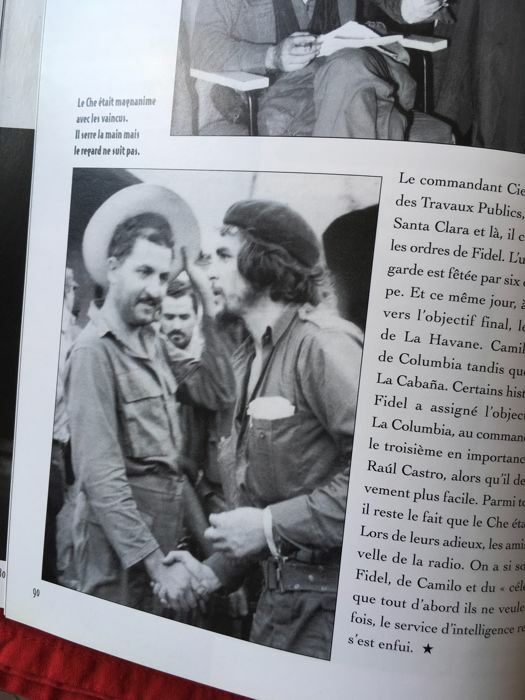 He's shaking hands, but the look does not follow. 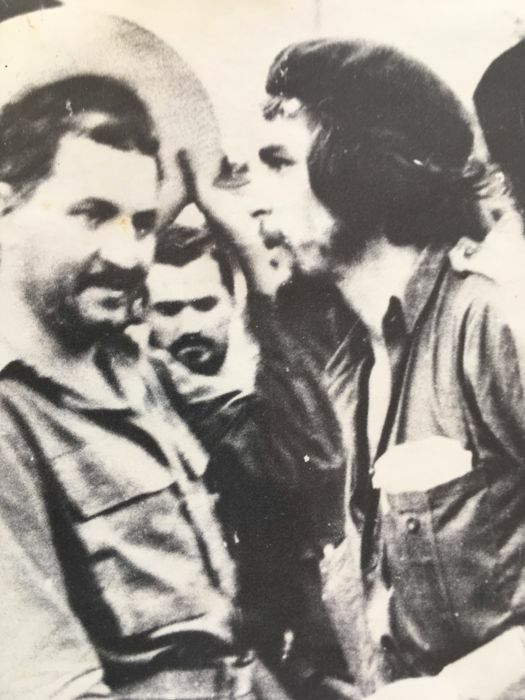 It is in Santa Clara that the legend of Che was born: December 28, 1958, 300 guerrillas led by the Argentine storm on the city defended by several thousand soldiers. The battle lasted three days. 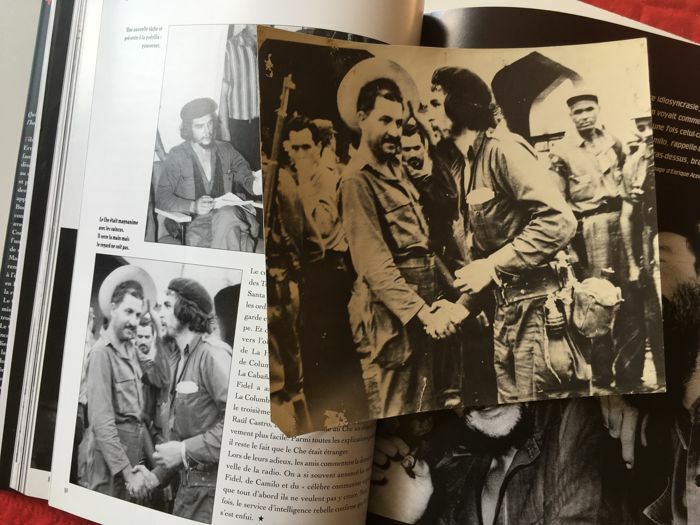 The population, exasperated by the dictatorship in place, largely supports the rebel cause, and surrenders multiply within the army which eventually capitulates. Santa Clara was the last obstacle for insurgents before the capital. Fulgencio Batista knows his fate, and flees abroad on the night of January 1st. 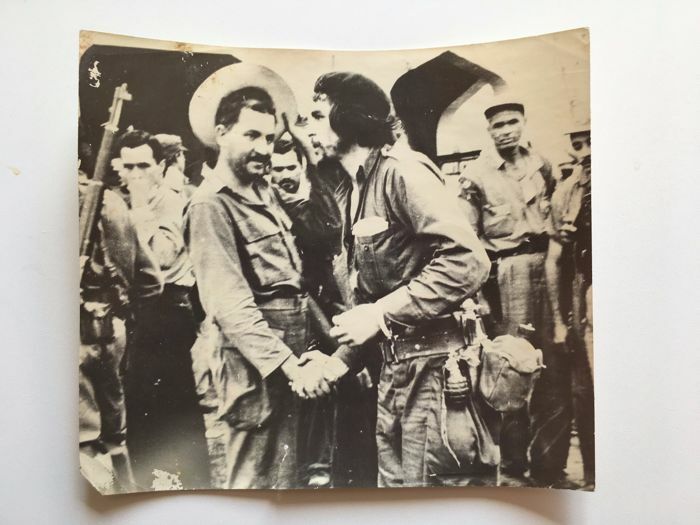 A few hours later, the first rebels enter Havana. 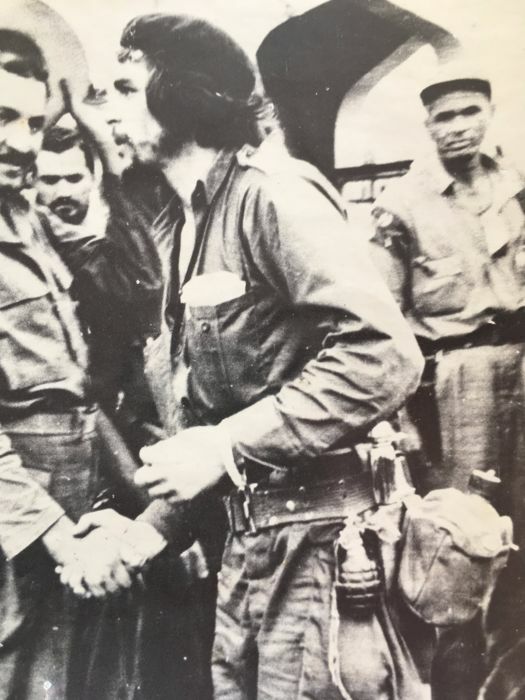 "Che is the biggest leader, everybody says it, there is no need to discuss," says a Cuban teenager, Antonio Alfonso, in front of the other tourist attraction of the city, the armoured train of The army which had been derailed by the men of Che. Call into question the figure of Che is sacrilege on the Communist Island, and particularly in this city of 220,000 inhabitants. Die ersteigerten Fotos kamen unversehrt und im beschriebenen Zustand bei mir an - gerne wieder! As always nice pictures and fast shipping. Nice to do business with. Es war super verpackt, wurde schnell versendet und es war sogar eine kleine Nachricht dabei. Fand ich persönlich sehr nett! 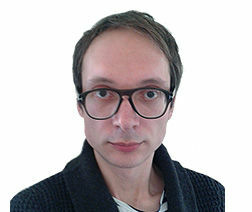 Die Bilder sind zudem wie in der Auktion angezeigt, angekommen. Perfect Transaction !!! Thank You And Enjoy !!! Cody is very professional. The photos where very carefully prepared for shipment. I can highly recommend buying from codito. Very positive experience with this seller. Packaging was very safe. received in good order quality is good. 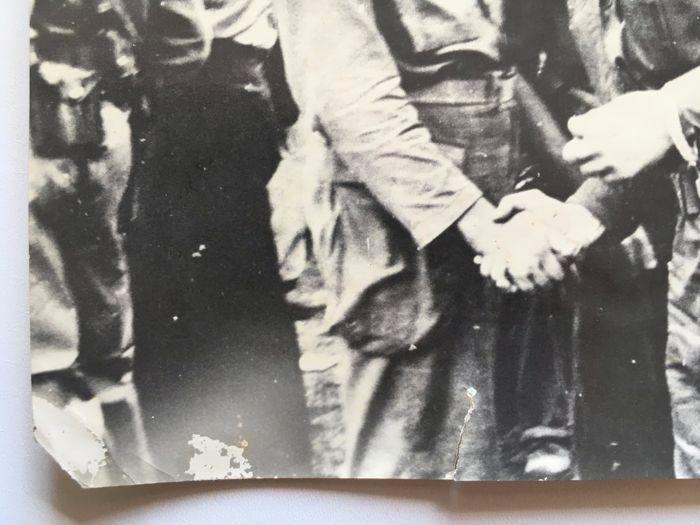 Sehr schöne Fotos. Genau wie beschrieben. Schneller und zuverlässiger Versand. Vielen Dank! Sie können diesen Artikel auch beim Verkäufer abholen: Saint herblain (Pays de la Loire), Frankreich.